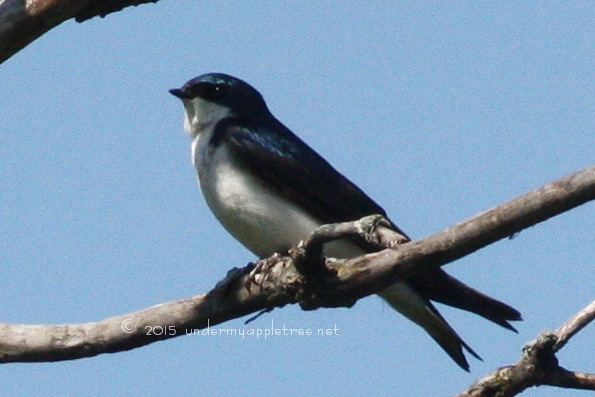 Almost wordless: Mr. Tree Swallow is keeping watch near his nest. If you look closely you can see the female sitting in the doorway of the nestbox. Beautiful bird! And I love that the female peeking out of the nest box. I spied her in there! What a cutie looking out of the birdhouse! 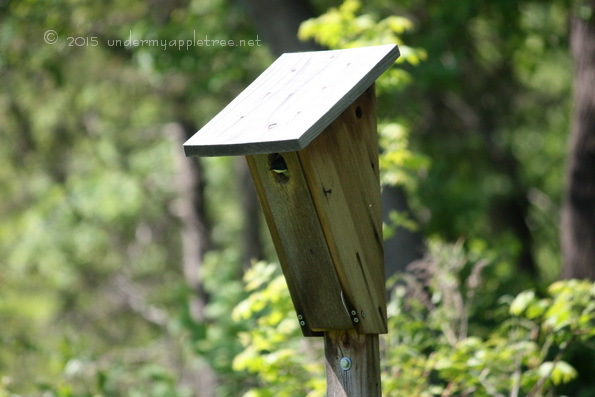 How do you attract birds into your garden?